The National Conference on Communications (NCC) is a flagship conference of India in the broad areas of communications, organized every year by the Joint Telematics Group (JTG) of the IITs and the IISc. It has become a regular forum for researchers, students and practicing engineers to present and exchange ideas in latest technological advancements and innovations. Well-planned pre-conference tutorials, technical paper sessions, plenary talks by experts and industrial exhibitions have been the salient features of this conference. Over the last twenty one years, it has witnessed progressively larger participation of researchers both from Academia and Industry. The Twenty Second NCC will be held at the Indian Institute of Technology Guwahati during March 4 - 6, 2016. IIT Guwahati welcomes you to NCC 2016 to be held for the second time in the North East on the bank of the mighty Brahmaputra. Dear Authors, the conference proceedings of NCC 2016 have been indexed and are available for viewing online. NCC 2016 Technical Program Schedule. NCC 2016 now listed in IEEE Conference listings. 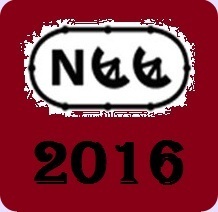 NCC 2016: Camera Ready Submissions Closed. © 2015 EEE Department, Indian Institute of Technology Guwahati, Guwahati - 781 039, India.